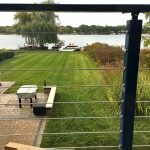 When it comes to cable railing post colors, black powder coat and brushed stainless steel are the most popular. However, we offer a wide array of powder coat options to our customers. 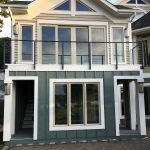 Using a unique powder coat can give your home an accent of color and can put your creativity on display. 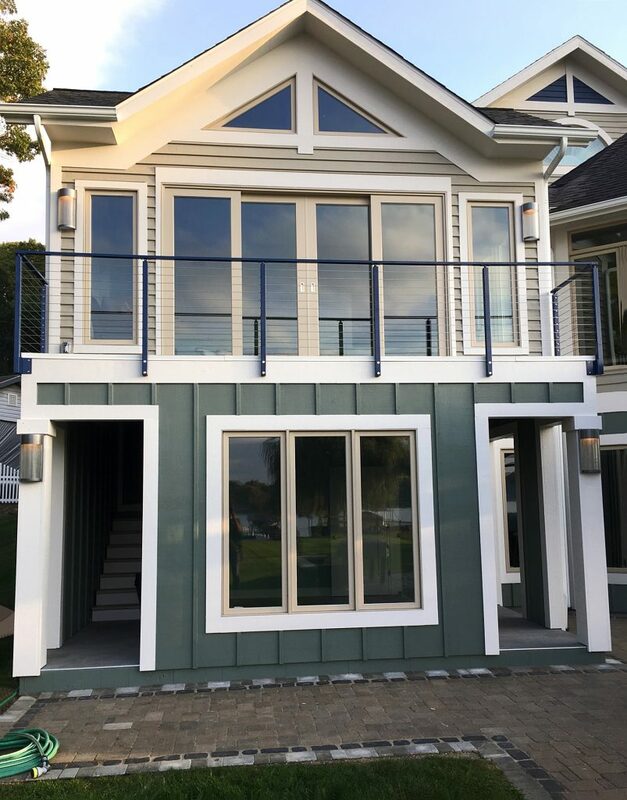 In this photo, you can see our navy blue powder coat put to use on a lakefront property. 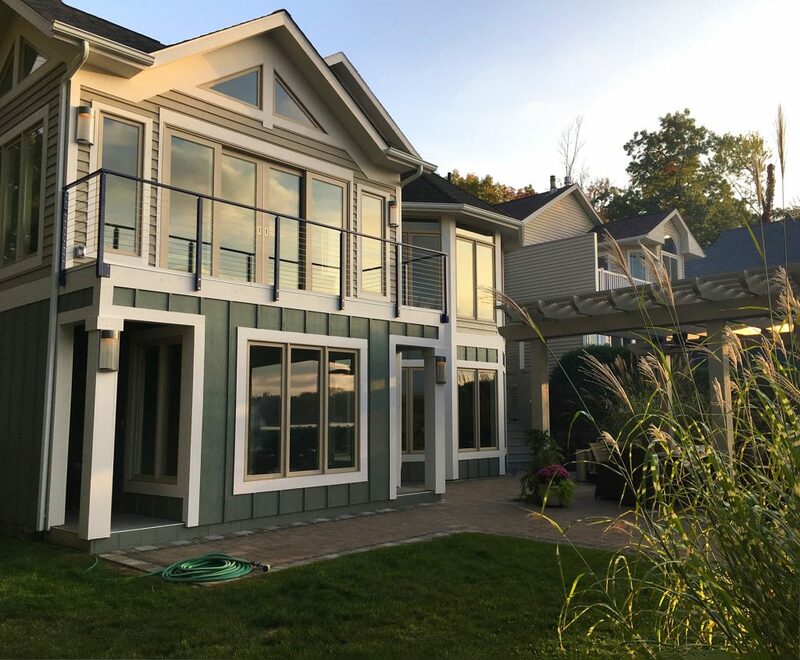 The blue posts complement the blue-grey siding of the home well, and give the home a New England look and feel. 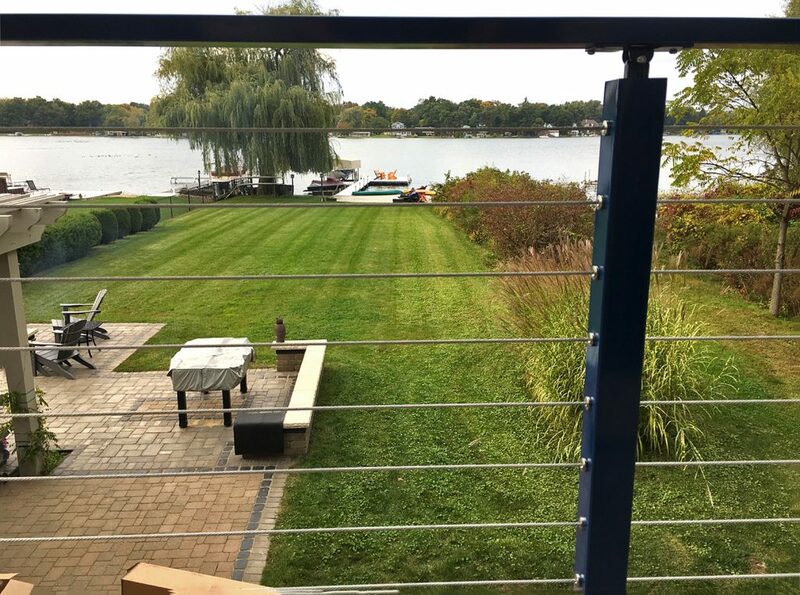 If you are interested in seeing some of our cable railing posts, you can order powder coat samples. You can also call in and speak with one of our sales representatives about all of your design options.